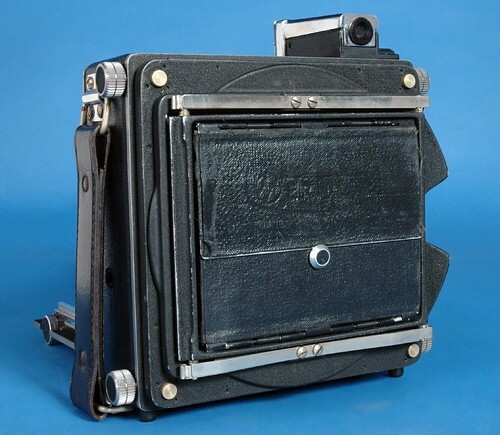 The Meridian 45A was a nicely-made, metal press camera from Meridian, circa 1947. A notable feature which quickly IDs the 45A is its round lens boards. 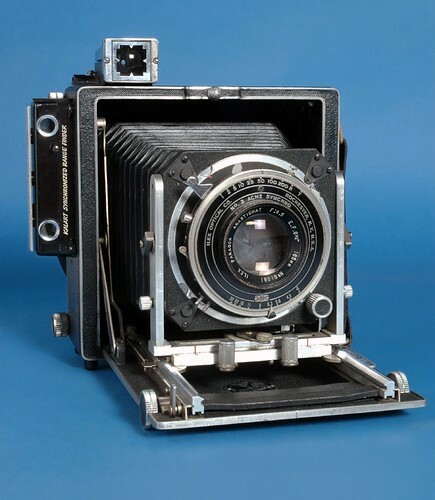 There is a provision for back tilt by using locking struts, as seen on some Linhof cameras (or later, the Mamiya Press). This page was last edited on 16 February 2018, at 06:32.